We Are Your Arctic Cat Parts Headquarters. Arctic Cat Crossfire 8 Sno Pro parts, Crossfire 8 snowmobile parts, Crossfire 6 parts, Crossfire F8 parts, Arctic Cat Bearcat Z1 snowmobile parts. 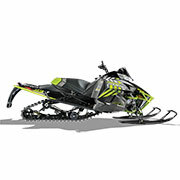 Get your Arctic Cat ATV parts for TBX 700 LTD parts, TRV 550, 700, 1000 parts, Arctic Cat Mud Pro 1000, 700, 650 ATV parts. Big selection of Arctic Cat ATV parts including, Arctic Cat 300 DVX ATV parts, Arctic Cat 1000 LTD ATV parts, 1000, 650, 450 LTD parts. 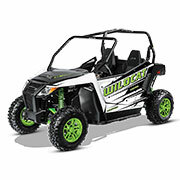 Arctic Cat Prowler parts, Prowler XT 550 Parts, Prowler HDX 700 Parts, Prowler XTZ 1000 Parts, Prowler XTX 700 Parts. When you need an affordable solution for your Arctic Cat ATV, side-by-side, or snowmobile, Arctic Cat Parts Nation has all your needs covered. We are pleased to offer a wide selection of Arctic Cat parts to help you experience the standard in off-roading excellence. We keep our inventory stocked with a wide range of hard-to-find parts, tools, and accessories. No matter what model or year you own, you can find everything you may need for the trail right here, and for an affordable price. For those adventurers who demand nothing but the best in off-road handling and performance, there are only a few name brands that likely come to mind. 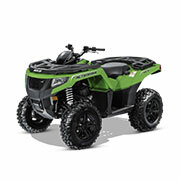 Arctic Cat's carefully curated off-road collection of all-terrain vehicles, snowmobiles, and utility vehicles strikes the perfect balance between innovation and a time-honored reputation. When looking at the Arctic Cat lineup as a whole, it is no surprise why this coveted brand has earned a loyal following of fans in the industry and beyond. In 1960, a man by the name of Edgar Hetteen broke business ties with his former partners in order to form his own company, Polar Manufacturing, which was later renamed to Arctic Enterprises. What began as only a small snowmobile line grew into a full lineup of sport and utility vehicles for work, play, or a little bit of both. 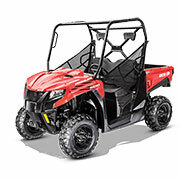 Over the last few decades, Arctic Cat has grown and been rebranded several times. Nevertheless, a few things remain the same, such as the brand's commitment to agility and speed coupled with the safety and stability that riders rely on to navigate any type of terrain. Having recently returned to its roots in the off-road, Arctic Cat is back and better than ever before. We conveniently categorized our inventory by model and year to make the search for accessories and other necessities much easier in the long run. Whether you want to make your ATV more versatile or you want to give your older model a facelift, there is plenty to find in our selection of Arctic Cat ATV OEM parts, such as assemblies for air intake, front suspension, brakes, gas tanks, taillights, water pumps, wheels, and so much more. When it comes to hunting, working, or simply hitting the trail, you depend on your side-by-side to get you over or through every obstacle. We make it as easy as possible for you to find the Arctic Cat parts you need to get your Havoc, Prowler, Stampede, or Wildcat back up to speed. We carry an assortment of parts and replacements for doors, engines, fenders, frames, gearcases, seats, winches, and then some. Last but certainly not least, we proudly offer an assortment of OEM parts for Arctic Cat snowmobiles manufactured from 1990 to now. Whether you are in the market for a new drive clutch or an entire console assembly, we can help you find the right solution for your particular model. If you are anything like us, the thrill of the off-road is amazingly contagious. 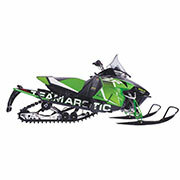 We are honored to offer a diverse selection of Arctic Cat parts for a variety of ATV, snowmobile, and UTV models. We also work with a wide network of delivery services, such as UPS, USPS, and FedEx, to ensure that you get the part you need right away and get back to doing what you love. If you have any questions while shopping from our selection or would like help finding a specific product, please don't hesitate to contact us for additional information or further assistance.